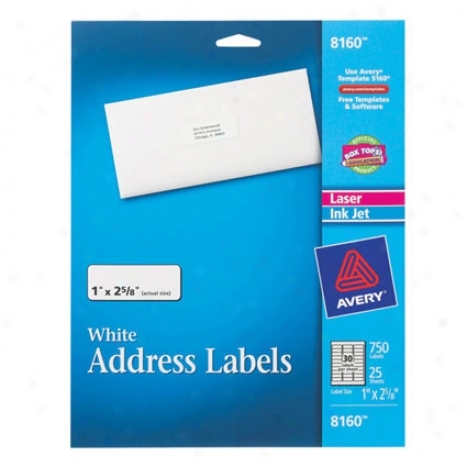 Easy Peel White Address Labels 25 Sheets. If Time Is Ticking, Reach For These Easy Peel&#0153 White Address Labels To Complete High-volume Mailing Projects Faster And Easier. Thanks To The Pop-up Edge&#0153 Outline, Labels Are Quick And Eas To Peel And Apply. Just Bend The Sheet To Expose The Label Move sideways, Peel, Then Plait Tbe Sheet Back To Flat.